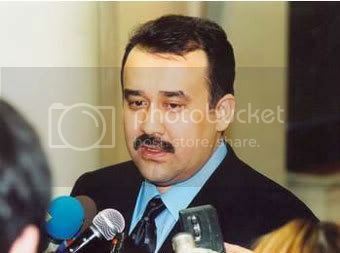 Karim Masimov, first Uyghur Prime Minister of Kazakhstan? After some three and one-half years as Prime Minister of Kazakhstan, Daniel Akhmetov stepped down on Monday. According to at least one source, President Nazarbayev has already nominated Karim Masimov as his choice to take the place of Akhmetov. While people have been speculating about Masimov’s candidacy to succeed Akhmetov for some time, it is still a surprising choice if reports are verified by official announcements in the upcoming days. While it is still early to foretell the exact meaning of this change in cadres, people in Kazakhstan are already speculating on its political significance. Are we seeing the continuation of Kulibayev’s rise in the intra-elite power struggles of Kazakhstan, is this a sign of a new era of reforms, or is this just a swing in the pendulum? After all, Tokayev, was considered “progressive” as well, but he did not initiate significant reforms as Prime Minister. Regardless, in Kazakhstan, the position of Prime Minister is more technical than political. But it is a symbolic position, and symbols can often be quite powerful. The most interesting question, however, is what other changes in the government will follow. In Kazakhstan, a change in Prime Minister usually means an entire re-shuffling of high-level government positions (and subsequently low-level ones as well). Thus, most government workers in the country are probably in for some sleepless nights in the weeks ahead. I get differing reports on him. On the one hand, he's intelligent, nice, diplomatic. On the other hand I hear he is very ambitious (not unjustifiably). There are rumors that he likes the VIP treatment from his underlings. I have heard similar things, but the issues of ambition and enjoying VIP treatment are fairly common across the Kazakhstani political elite (and politicians everywhere for that matter). The question now is who else will receive high ranking positions in the government. In Kazakhstan, it is not really the PM who calls the shots on the big ministries; it is Nazarbayev. If Nazarbayev was to engage a wide spectrum of political players (including the opposition) in his choice of ministers, it might indicate that the president is starting to think about his legacy as much as his self-preservation. Given that legal proceedings continue against Bulat Abilov, however, I don't think Nazarbayev is quite ready to embrace the opposition as a legitimate part of governmental politics. Turkmenbashi Dies at 66 (Finally)! Now what?